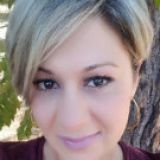 Psychic Norell is a straightforward, inspirational intuitive. Do you have questions and concerns? I am experienced through my American Indian heritage and my spirit guide and can help show you where you should be in your life's wheel of fortune. I can offer spiritual energy and healing to balance your mind body and soul. Do you have questions regarding love, unsure of your career path, or confused of your gender? Remember the choices you make today is what makes your future. Allow my spiritual readings to place you where you need to be in your life, improve yourself or circumstances, whatever they may be. I can provide expert guidance and the answers you desire. I look forward to speaking with you. ​How do I find peace and healing? This is something so easy to achieve ,but very hard to do. Often in our daily lives we become overwhelmed stressed have a loss of faith or spirituality . We all have experienced loss in our lives of some sort whether it's the loss of a loved one,divorce, finances, education. We all have experienced loss in someway. Keeping faith in a higher spirit is what always keeps us going. Having faith and hope is what will help us heal and have peace. At times we are unable to find faith and hope alone and need to seek guidance. Remember you're never alone there's always a higher spirit that guides you throughout your life cycle. Connect with your faith and higher spirit receive guidance to peace and healing through spiritual reading . Get closer to achieving peace and healing enjoy . ​How to restore energy and strength? February is known and believed to be winter's harshest month. The Native Americans believe that this is the strongest full moon of the year to restore energy and strength. All of us become drained and overwhelmed in our daily life cycle. Be open and excepting to this month's snow moon to restore and replenish physical strength and spiritual energy. ​How to know when blessings come our way, No matter what this year has in store for us marriage, a move a new job. We must receive these changes accept them and also believe them. This is how we recognize blessings that are in front of us. Want to know how to make your decisions in 2017 say and trust these 3 easy steps to recognizing your blessings and making your decisions. ​Most of us pay attention to what we don't have, a new car the new I phone 7 that purse and sun glasses. These things are all material. We get focused on what we don't have and looking to far ahead. Our PRESENT and whats in it love, family stability these are things to be thankful for. Be in the moment of your present life focus on whats in front of you now, and there will be no time to pay attention to what we don't have. 1. I appreciate everything I have achieved so far in my life. 2. I am thankful for each day and the opportunities that are in it. 3. I will always be grateful for what I have. ​How do I except CHANGE? We all fear the unknown or what we can't control. This is what our minds tell us. FAITH being connected spiritually can bring so much peace to every and ANY situation or circumstance we are facing! Practice your Faith daily to bring peace of mind and comfort to your life. If you close your eyes and pray, or practice Chakra, Crystal healing, saying mantras. You practice your Faith to connect you spiritually giving us all Faith in uncertain times. Be blessed. Enjoy. ​How will I decide who I'm going to vote for? Will I except this marriage proposal? Am I ready for all these decisions? These are all life changing decisions marriage children career even voting for who our next president will be! We all need clarity and insight into the decisions and choices we make. A psychic reading can provide so may answers to all you're decision making even voting! Enjoy a session to more clarity to all your life changing decisions. Having a hard time making a decision big or small ? Most of us do what our mind tells us to do, but we often become confused or lost. This happens when we don't listen to our hearts or feelings. When we do this we become stuck and don't move forward because we are not making decisions. Like we need air to breathe. This is how we need our Chakras balanced. Through a Chakra balancing learn how to listen to your heart and inner self, embrace the benefits of chakra balancing to a better self-being. Clarity and insight to move forward to be able to recognize the decision you need to make are clear by following your heart and emotions. Enjoy the benefits though a session today. Halloween is a time of Celebration and superstition. And is actually a great time for a psychic reading! Halloween is also known as all-saints day. This is a time when all spiritual energy and guides walk among us. Use this festive celebration and magical time to get answers to all life's questions. Enjoy! How do I know what CRYSTAL will work best for me? This is a question I'm often asked. We all become confused and overwhelmed. And we all need clairity. This is why I recommend the AQUAMARINE CRYSTAL. This crystal purifies the body and enhances Clarity of the Mind with its gentle and compassionate energy. It helps bring closure to unresolved situations. It is especially good for sensitive people promoting self-courage elevating fears and phobias. Aquamarine is an excellent stone for medication calming and balancing the physical emotional and mental aspects. So please enjoy this crystal and all its healing benefits! How do we make a fresh start or starting over? The end of something always means something NEW ! Whether it is the end of a relationship Job or School, moving forward with a new start is not as hard as you think. Firstly, you must accept your past decisions trust your judgment that you have made. Claim affirmation that you know there is better opportunities for you! No matter what negativity occurred in your past, remember these things did not work out for a reason. And reason being is because the universe has much more to offer you! So accept what you can't control, trust yourself and look forward to a new start. Three easy steps to help you make a fresh start Enjoy! Our wheel of fortune, otherwise known as our daily life, can spiral out of control sometimes. As people we are always thinking about tomorrow, and all we have to do work, kids, school its our routine. And sometimes we get lost in our routines spiraling out of control and as busy as our lives are, we don't move forward. This is what happens when our wheel of fortune is constantly spiraling. And we are not paying attention to our PRESENT. The choices we make in our present is what makes our future! So if it seems you're life is busy but you are remaining the same, slow it down focus on today. The present! Focus on your present to move forward with your future. Remember patience is a virtue be patience in your present day and life. To enjoy all life's joy and abundance! ​We all get overwhelmed and stressed in our daily life. Work , family, finance. Not to mention that the holidays are almost upon us! Adding more to do to our life cycle. Practice this autumn moon mantra to help restore peace, relaxation, and release stress or negativity. I release the need , for those things in my life that are not serving my purpose or higher self. In their place , I receive love , joy and abundance. We all protect something valuables, people our feelings our homes before a storm. But what about our good vibes and blessings? Our spiritual energy that flows through us daily also needs protection. Do you have a friend or ex-lover that no matter how great you feel, when they randomly call just leaves you feeling empty? That's negative energy from your past. Protect your good vibes and shut the door on the past. Remember when the past comes calling you've been there before. Look to the future remove anyone from your life who has not returned love. Keep your life force energy strong! You've come to far to look back! Looking for direct answers to particular questions? We all question what we can't see or understand. Most folks are seeing is believing, and few walk by faith not by sight. I have found throughout my experience giving readings if you are open minded YOU will receive a accurate reading! Take a deep breath clear you're mind, and be ready to embrace all the positive energy and messages the universe has to offer YOU! 1. Take a deep breath inhale through you're nose, release through you're mouth. Three easy steps to a detailed accurate reading ENJOY! !